In 1934 the US Navy ran several design competitions for new aircraft, among them one for a two-seat scout bomber. The entrants were the Brewster XSBA, the Vought XSB2U and the Northrop XBT, which eventually won the competition with the Vought design seeing limited production as a backup. The XBT featured numerous innovations, including split dive flaps with perforations to reduce buffeting during a dive. 54 production model BT-1s were eventually ordered, but the improved BT-2 was destined never to be produced. 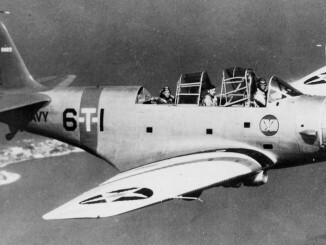 Northrop sold the rights to the BT-1 and the El Segundo plant that produced the aircraft to the Douglas Aircraft Company. The first Douglas variant of the aircraft, re-designated the SBD, featured a complete redesign of the landing gear, a new tail, a more powerful engine, as well as numerous other small improvements. By December the SBD equipped all of the Pacific Fleet’s front line scout-bomber squadrons, and several of the Marine Corps squadrons were beginning to receive the type as well. Several SBDs were destroyed in the air and on the ground when the Japanese attacked Pearl Harbor, but Dauntlesses were thereafter at the forefront of the initial counterattacks, taking part in the carrier raids on several Japanese-controlled islands during the early part of 1942. 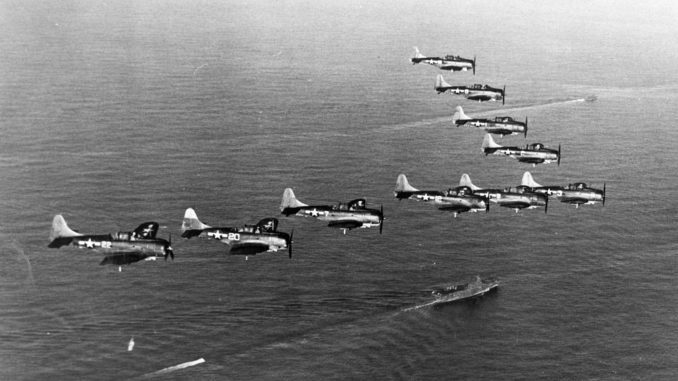 The Dauntless achieved immortality thanks to its exploits during the carrier battles of 1942. At the Battle of the Coral Sea in May, SBDs helped to sink the carrier Shōhō, before badly damaging the Shōkaku the next day. Then, at Midway in June, SBDs were responsible for sinking all four of the Japanese carriers lost at that battle. Thereafter, Navy and Marine Dauntlesses saw significant action at Guadalcanal, helping to secure that island in the face of enormous Japanese counter-attacks. Problems with the intended successor to the SBD, the Curtiss SB2C Helldiver, meant that the SBD remained the primary naval dive bomber through 1943 and the advance up the Solomons chain, and well into 1944. The Marine Air Groups assigned to the recapture of the Philippines were mostly equipped with SBDs even as the Navy re-equipped with SB2Cs. Dauntless bombers were also supplied to the US Army Air Force, which re-designated them the A-24 Dauntless. Impressed by the performance of German dive bombers during the blitzkrieg phase in Europe, the USAAF hoped to replicate the capabilities of the Luftwaffe. 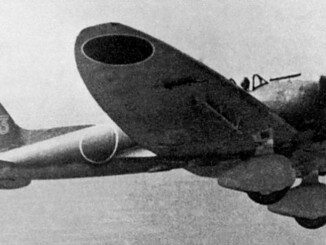 However, the A-24s were only ever deployed to the Pacific, serving during the New Guinea campaign as well as in the Aleutians.